Stop by The Exemplify Blog, if you would. Not only am I continuing my Ponderings on The Pentateuch series with a post called Three Kings: One Purpose, but there are some other EXTREMELY awesome posts there by some extremely prolific and Godly women. Don't miss it! Also, I've got a giveaway going on, celebrating my first decade as a child of God! Click on the picture below to go to my testimony and the giveaway. Deadline is this Saturday morning! And now to the FUN part! My dear, dear friend and sister in Christ Patty Wysong from Patterings gave me this blog award the other day. Her blog is incredible in so many ways: Patty has an incredible talent for using ordinary, everyday occurrences and turning them into profound lessons. Plus, she's in charge of Fiction Fridays, which has to be one of my VERY favorite memes in blogdom! I am always blessed when I stop by. Confess 5 things I'm addicted to. Pass this award onto 5 other sisters. 1. The Amazing Jesus, my Messiah. Gotta gotta GOTTA read His Word, talk to Him, and be in His Presence daily. 2. My amazing husband - he was custom-made for me. I'd be a mess (LOL more than I already am!) without him. 3. The Internet - blogdom, Faithwriters, email. And besides, some of my very closest friends live there! 4. My sweet children (even when they're not being so sweet!). Love 'em to pieces - PIECES, I say! OK - now it says I'm supposed to pass it on to five sisters. And I KNOW that's a picture of a lady, and someone of the male persuasion may not want to put such a "cute" picture on his blog. But I GOTTA do what I feel I'm being led to do. 1. Peter Stone: I really, really DO know you're not a sister. Really. 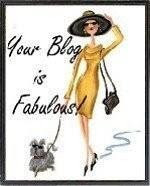 But your blog, When I Am Weak, Then I Am Strong, IS fabulous. Peter hasn't been blogging for very long, but his incredible insights, lived out, into depression are an absolute must-read for everyone: whether you have experienced depression, are experiencing it, know someone who experience or experienced it, or just to help you through the blues. I cannot recommend this blog any more highly. READ IT. 2. Teresa Lee Rainey: Another relatively new blogger (less than a month!) who has created a blog that I can't wait to stop by. Her Whitewashed Heart is a place to be encouraged, taught, and blessed. Teresa has a wonderful heart for women. 3. Sharlyn Guthrie: Dancin' on Rainbows isn't just the blog home of a dear friend and masterful writer. It is, in fact, a place for inspiration, honesty, comfort, and healing. Another "don't miss" blog! 4. Sara Harricharan: Sara is no newbie to blogdom (I know of at least THREE blogs that she has), but I'm especially drawn to, and blessed by, her newest blog venture In Shades of Scarlet. Sara is an incredible young woman, full of energy, writing talent (more in her pinky than I have in my whole body!) and a love of her Lord. Her heart, I believe, is in this new blog. Stop by and fall in love with it, as I have. 5. Elaine Olsen: If you've never been to Peace for the Journey, go there now. (I mean it! I'll still be here when you get back. I'm very patient) Her depth of love for her Lord, and insights into Him, are astoundingly wonderful and such a blessing. I am ALWAYS convicted and ALWAYS blessed when I stop by. She is an incredibly anointed teacher who I would LOVE to be taught by face to face some day. Congratulations, my dear friends. Be sure to check out these fabulous blogs! And thanks for reading! Well, OK, I went to "peace for the journey" and am back. Thanks for waiting; better yet, thanks for honoring me with this award. Just this morning, I was talking to God about taking my life and just running with it today...wherever it leads, I am content to go as long as He is willing to go with! However I can serve you, friend, I am willing to do so. You humble me with your tribute, and while I'm not after a crown on this side of eternity, it sure is nice to get a bouquet of flowers every now and then. You've given them to me this morning, and my heart is overwhelmed with thanks. Now, heading over to "exemplify" for another read. Will you be waiting for me over there too? Joanne, Thank you so much for honoring this newbie with this award. You have given me a grin on this busy day! Thank you again!